A good guide is essential to get the most from your tour. Your guide will meet you in your hotel lobby and then transfer you to the Chedun Film Shooting Base, which is situated in the Songjiang District, 15 km away from the city center. 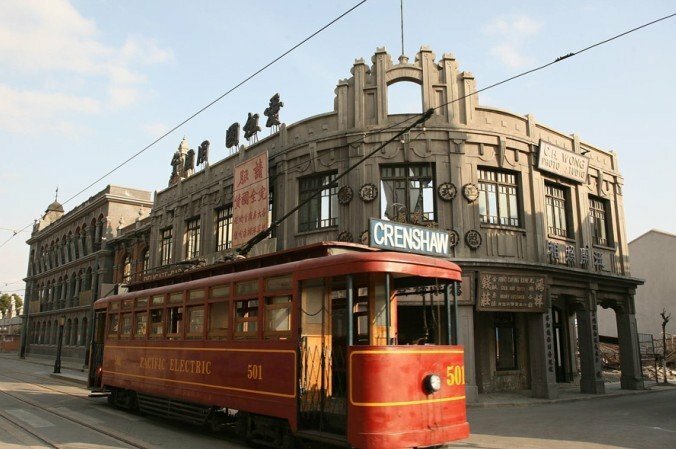 Your guide will share stories while you are walking through "Nanjing Road in the 1930s", stroll along "Suzhou Creek" and make your way through "Downtown Shanghai". Continue to "Peace Plaza" and cross over the "Old Shanghai Bridge" and lastly find yourself in the "Lake and Mountain Area". After lunch, you will also visit other sets representing different periods and styles including a traditional local residence, churches and several European-style buildings. Over 100 movies or TV series have been shot in this base, so if you are interested in Chinese TV series, you may find some very familiar scenes. At the conclusion of the day, your guide will take you back to your hotel.